This upgrade for the iPort IW-21 and IW-22 delivers balanced video up to 500 feet from the iPort, enabling long-distance system operation. 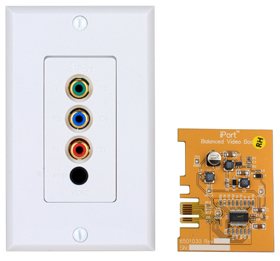 It includes a balanced video wall plate (with Decora wall plate) and a balanced video plug-in circuit card (for insertion in the iPort). For use with iPort IW-21 and IW-22 models. Delivers long-distance balanced video (iPod video content only, not program metadata) from the iPort (up to 500 feet from the video system). 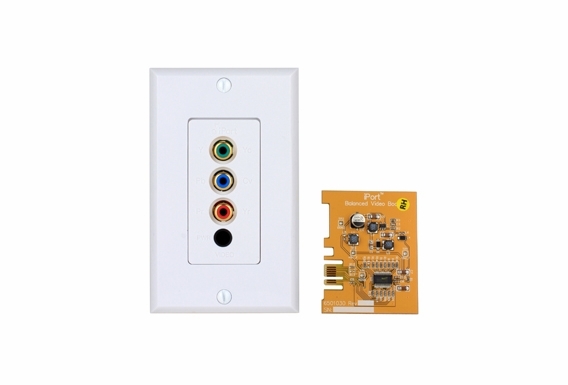 Includes a balanced video plug-in circuit card (GOLD) and a balanced video wall plate.